From my archive. This is from the 2014 Craft Beer Advent Calendar. December 3, 2014. 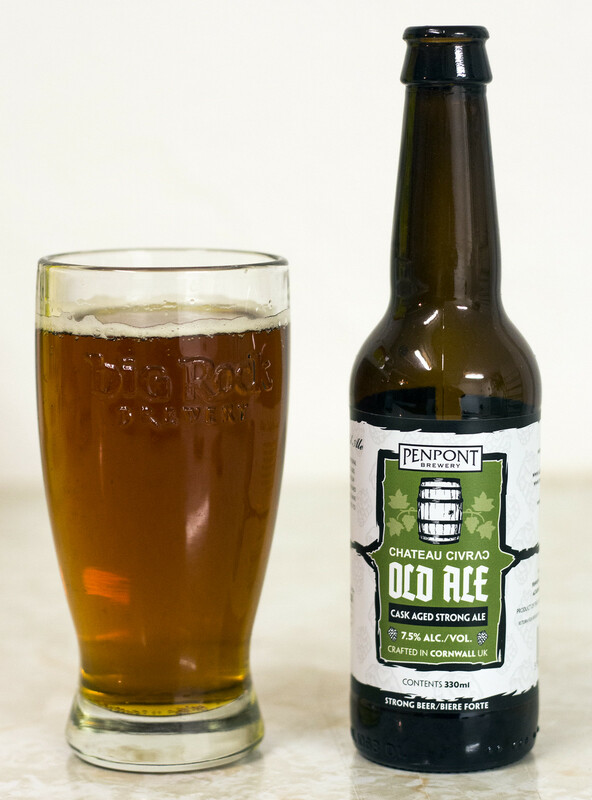 For December 3, we have the Penpont Chateau Civrac Old Ale by the British Penpont Brewery. From its product description: "A deep malty brew, with fantastic depth of flavour and a slight tart note from the wild yeasts present during the aging process. Aged for several months in oak wine casks. This beer is smooth but complex." Appearance: Pours a rich caramel amber ale, clear, very carbonated, minimal to almost no head on top. Very sweet and caramel looking. Aroma: The aroma is a sweet, nutty, caramelly brown ale with notes of dark fruits like plums and raisins. Lots of caramel syrupiness in there. Overall Thoughts: Alright, quite nutty. Very watery on the palate so it's easy to drink, but it needs more body, more caramel sweetness and bit more roasted malt. Not noticing the cask-aged oak at all, it's light as heck.